Tiger Lily, the first gumpaste flower I created! 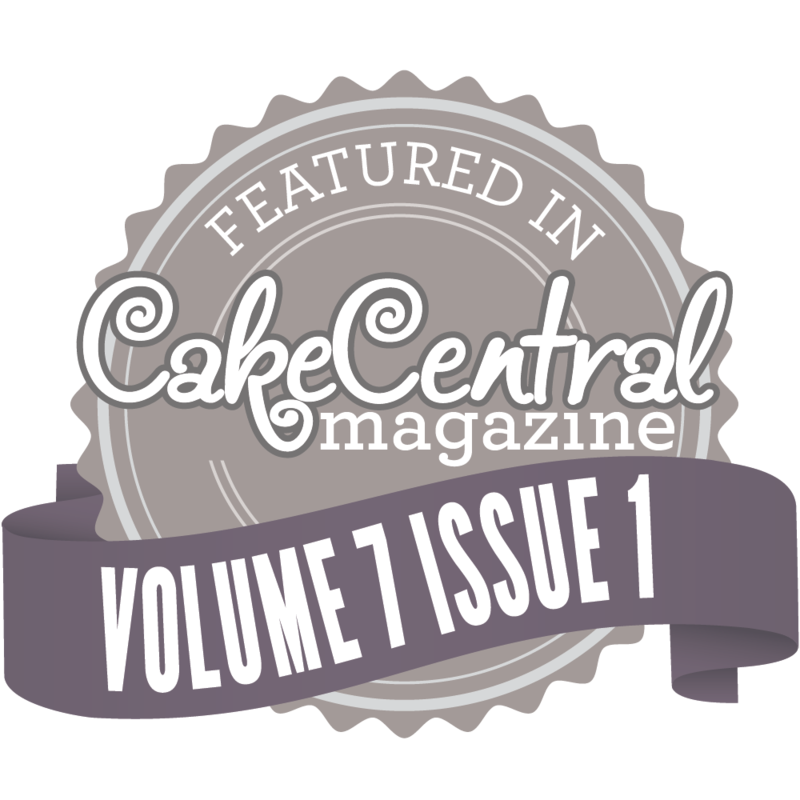 The world of cake decorating has exploded with new techniques and methods. 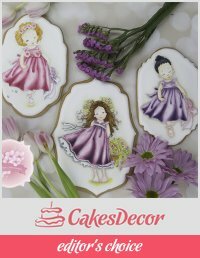 Over the past 25 years or so cake decorating has evolved, from simple cakes that were made mainly for flavor, to complex, multi-layered, multi-tiered delicacies that are shaped like realistic objects and entered into competitions. Along with the changing methods, tools have advanced as well. Today, elaborately decorated cakes are common, not just for a wedding, but for birthdays, graduations, baby showers and even seasonal holidays. I wanted to share a few methods and tutorials to help advance your decorating skills. I will be scratching the surface of the multitudes of decorating techniques, the only limitation on cake decorating, today, is your imagination! 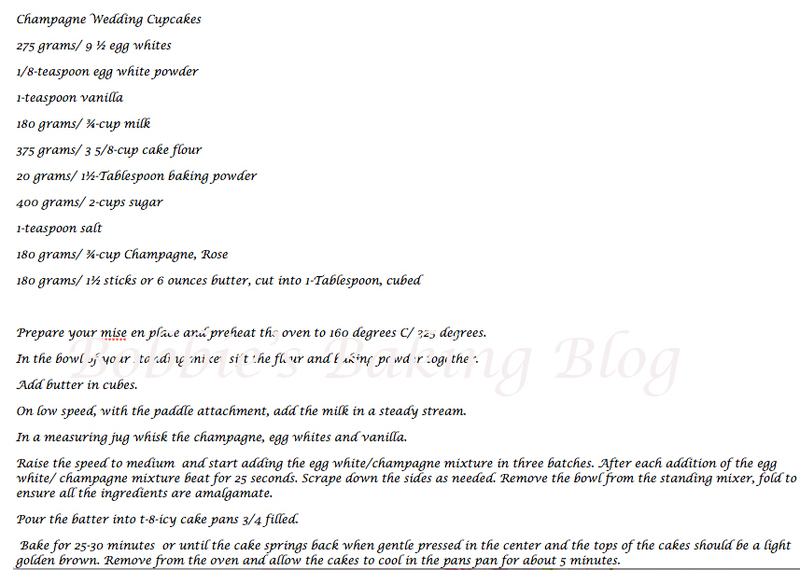 All of the methods I am showing you can be used for cupcakes and cookies too. 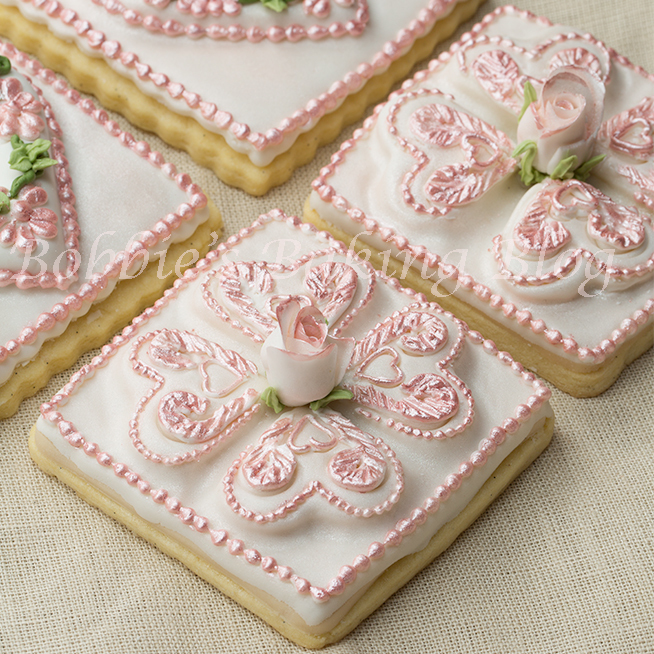 Hand painting directly on your fondant or royal icing is a technique that is not only beautiful, but addicting as well. Hand painting is easier than it looks! 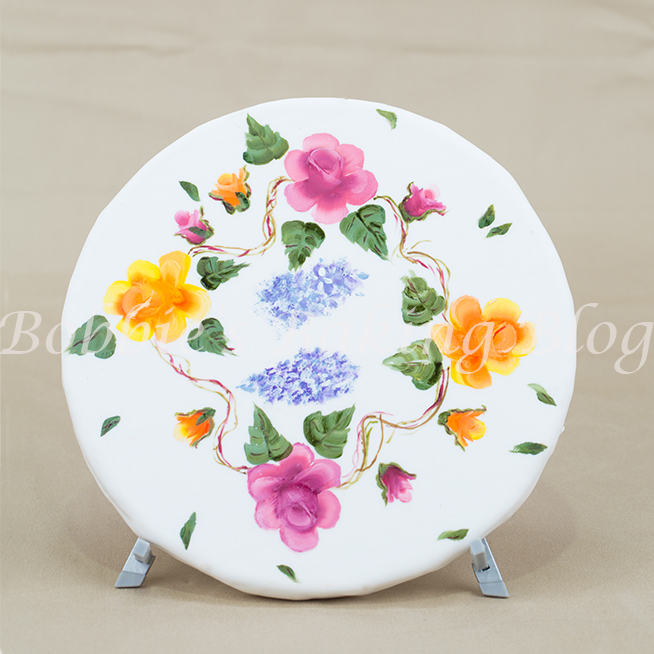 You can achieve a beautiful scenery with a one stroke method or really show your painting artistry. You do not necessarily have to be an artist to hand paint; if however your are blessed with advanced painting/drawing skills your cakes can go to a whole new level. Take a look at Nevie-Pie cake Natasha is an amazing cake painter. 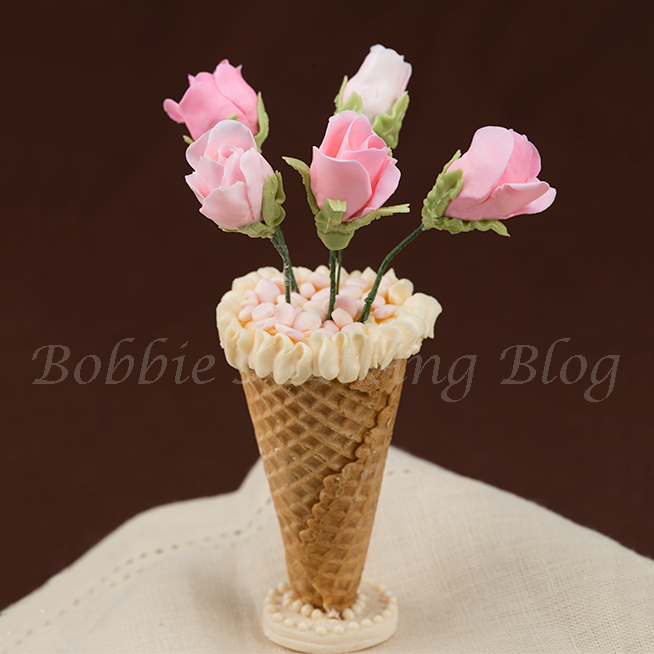 Flower paste/gumpaste flowers are always in demand, as they have evolved to appearing as real as fresh flowers. 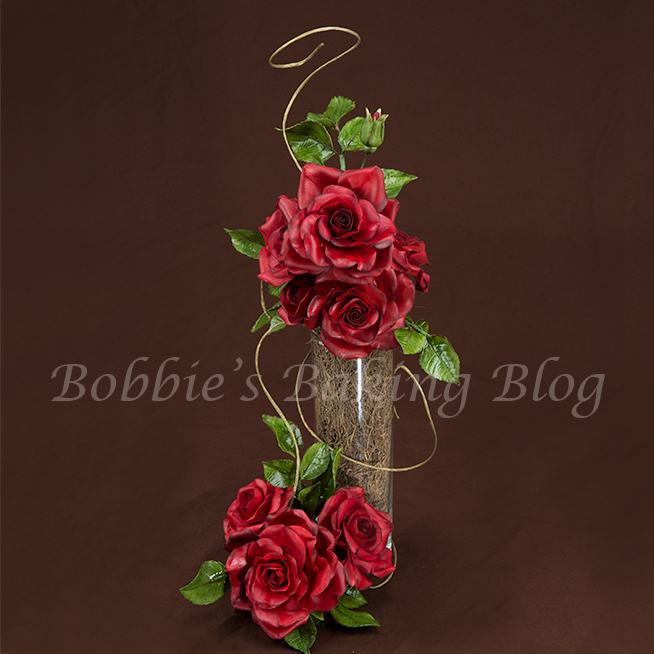 Here is a Black Magic Rose I created for a fall wedding! I had a few left over and created a spray for a centre piece. 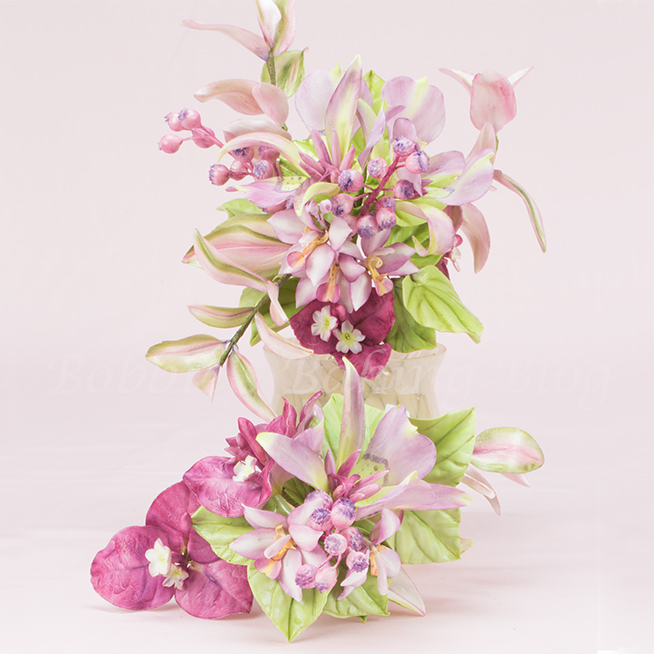 Sculpting figures and flowers from modeling chocolate has become popular, especially for brides. 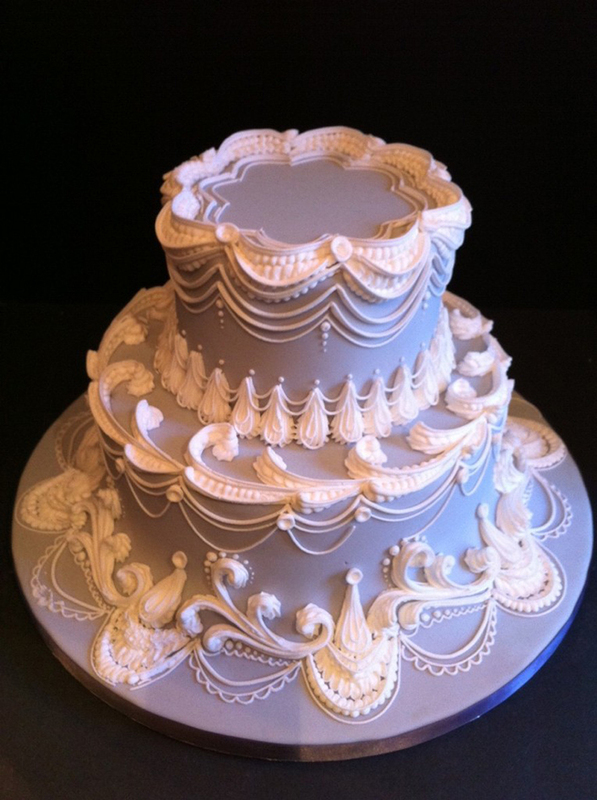 You can design a cake shaped to match a wedding gown covered with modeling chocolate. Rachael Teufel has a wonderful tutorial showing modeling chocolate wedding dresses. 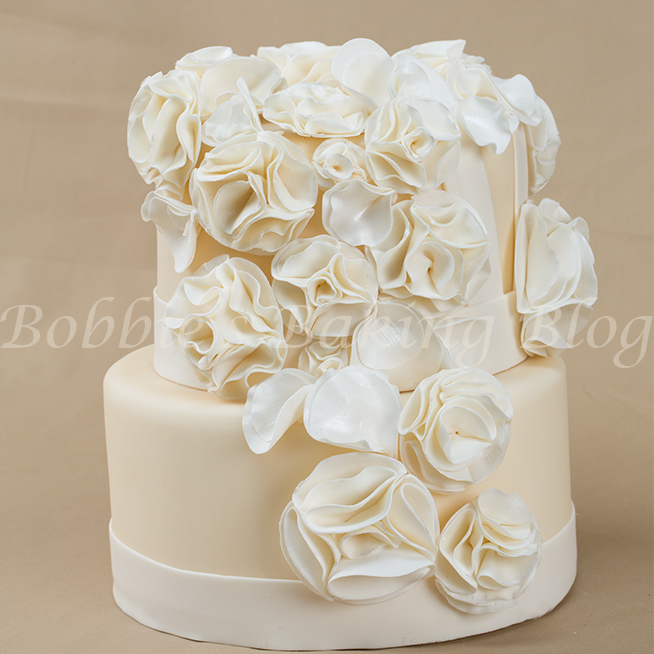 The chocolate roses were created without cutters or venires! 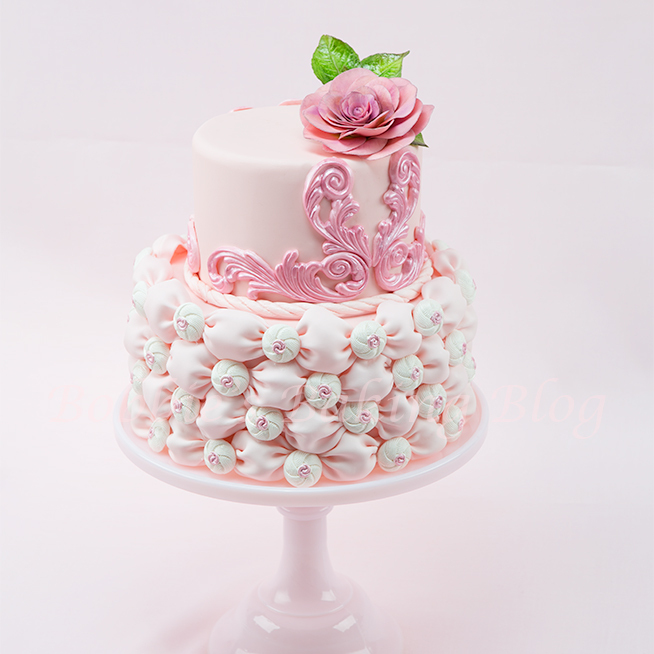 Fashion inspired fondant is in high demand for weddings anniversaries and speciality cakes. Lambeth method of piping is a vintage technique that has gained popularity lately. It is an english piping technique that is the definition of elegance. I promise her photo gallery will not disappoint her work is brilliant! Tufted Billow Weave is an exciting new design, where the fondant appears to resemble fabric pillows. This is “one” of my favorite methods! 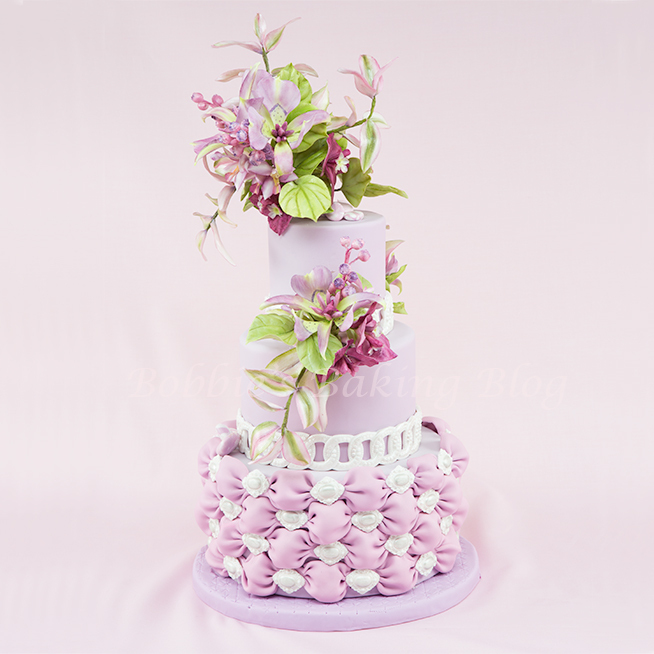 Elaborate floral sprays is a relaxing and artistic expression for designing cakes. This spray is my favorite, most likely because it is the cake I designed for Sydney’s 21st birthday. Sydney has the spray in a vase as a keepsake! 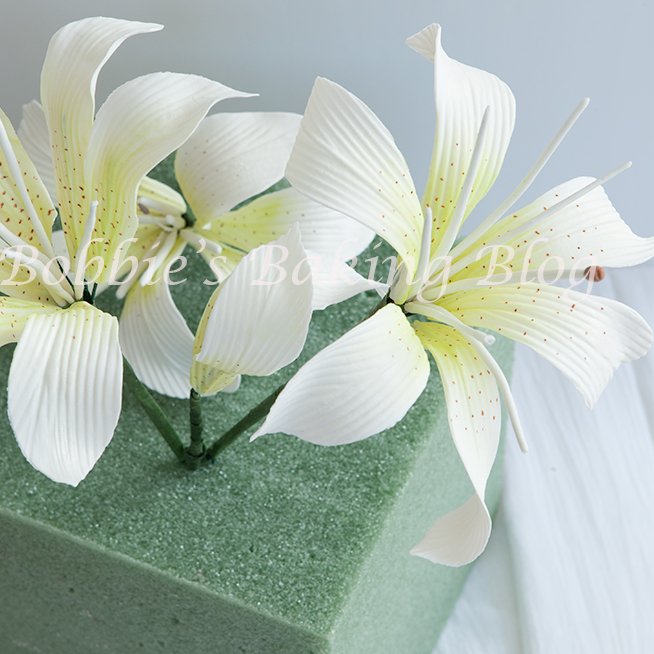 Sugar flowers can be saved forever; keep in mind they are extremely fragile! All of the techniques I have shown you have videos or tutorials to teach you how to recreate or put your personal touch on your cake decorating! 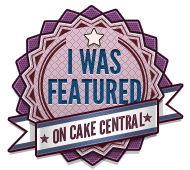 As always I would love to see your cake decorating designs! This a dense cake, but moist! I have only lightly scratched the cake decorating technique surface..Voila! What a sophisticated and elegant tutorial on the way decorating cakes have grown. Your post are always filled with detail! Must thank you for sharing and be part of my learning experience. Your work is stunning!